GARDENA — To commemorate the 70th anniversary of World War II’s Battle of Okinawa, the Okinawa Association of America (OAA) will host a special event on Saturday, June 20, at 5:30 p.m. at the OAA Center in Gardena. 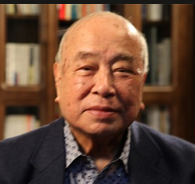 Masahide Ota, former governor of Okinawa Prefecture and founder of the Okinawa Peace Research Institute, will present a lecture via Skype video (schedule permitting). During the war, Ota and his high school classmates were forced to become student soldiers for the Imperial Japanese Army. Ayano Ginoza, visiting scholar at the UCLA Center for the Study of Women, will also present a short lecture and OAA members who were in Okinawa at the time of the war will share their experiences. Musical interludes will include live performances of songs that are relevant to the war and post-war experiences of Okinawans, all played on a traditional three-stringed instrument called the sanshin. For those who cannot attend this event or want to learn more about the Battle of Okinawa, a temporary display has been set up in the OAA Kamiya Library to highlight the organization’s collection of books and videos on the topic. Note: Only paid OAA members can check out materials from the library. Due to limited space and parking, RSVPs are required for this event. Contact the OAA Culture Committee chairperson at [email protected] or (310) 714-8830 to reserve a seat. This is a free event with a suggested donation of $5. The OAA Center is located at 16500 S. Western Ave., Gardena. The event will be held in the Yamauchi Building.